With a network of Family solicitors based here in the UK, we offer our clients a complete will writing service. We understand that most people, will see making a Will as being very important, yet we find that there is still a huge amount of people who don’t actually do it as they see it as a thing only older people will do, things can happen which is we would advise anyone who has a family, should ensure they have a will so that when you have gone there assets pass to the people, they want them to. Will writing service – why make a will and what should be included? Making a will helps determine how our most personal possessions should be shared among close family and friends. It’s not just about how our hard earned savings and property should be divided. Items with great sentimental value should be taken into consideration as well. Our will writing service lawyers will help you decide who should inherit money, property, and any other assets. How the children should be cared for, any charitable donations you may wish to make and any special arrangements you may want for your funeral. There are many other things to consider which is why we would recommend you speak to one of our experienced will writing solicitors, it is often a very simple procedure which will help with any difficult decisions for those that are left behind. Some more complicated arrangements such as inheritance tax need to be drawn up by a qualified will writing solicitor to avoid any pitfalls and ensure all the legal formalities have been followed correctly, otherwise, it may be invalid. It is particularly important to leave instructions behind if you own a property or many properties. Using a local solicitor such as us for your will writing service makes it easier to change your will and to make sure these changes are legally binding, which is why we wouldn’t recommend DIY or internet wills as there are obvious risks where no personal advice is given. Having someone act as an executor where there may not be an obvious choice we as solicitors can be named instead or as well. 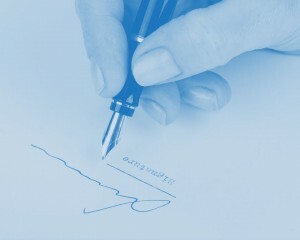 We will also advise on how best to keep your will safe. Will writing service – what if I don’t have a will? If you have not got round to making a will going to court in the absence of a will, those left behind will find it necessary to apply to the sheriff court to appoint an executor. 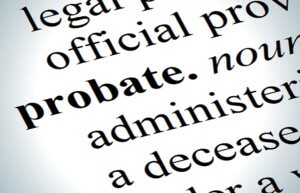 A will writing solicitor will have to prepare the forms for the court to appoint the executor. In most cases, a bond of caution will be required. To help you we have made things really simple, simply enter your town/city in the search boxes above or below and call your local office using the local number provided or fill out a contact form on that page we are here to help and guide you through making things as simple as possible.